There are a lot of things you can do on your own; personalized learning doesn't have to be one of them. Personalized learning improves student engagement and achievement, develops students to be lifelong learners, and better prepares them for college and careers. The world is changing and our schools need to keep up. Students need to become problem solvers and collaborators. They need to take ownership of their learning and become lifelong learners. To do this, students need learning in classrooms to be accessible, relevant, and reflective of how they learn outside of school. We think classroom environments need to change in order to meet the needs of students today and prepare them for tomorrow. Personalized learning helps us do that. We take an expansive view of personalized learning. We believe that personalized learning means that students get the instruction they need, when they need it. We believe there are many good and valid approaches to personalize learning for students. They include: blended learning (which we think is usually a good starting place), competency-based learning, culturally-responsive teaching, project-based learning, and a focus on incorporating student choice and agency into instructional decisions. Through our design thinking process, we believe we can support any district and school to personalize learning for students, regardless of their approach. However, we believe personalized learning is most successful at scale when technology is used effectively, classrooms are redesigned, and districts have a clear plan for supporting schools through the transition. Make the case for Personalized Learning. CEO Anthony Kim describes the why, and the why now, behind this shift in classroom instruction. The Core Four white paper includes a framework, actionable ideas & insights from districts who have successfully implemented personalized learning. It can help you get started or take the next step for your district. 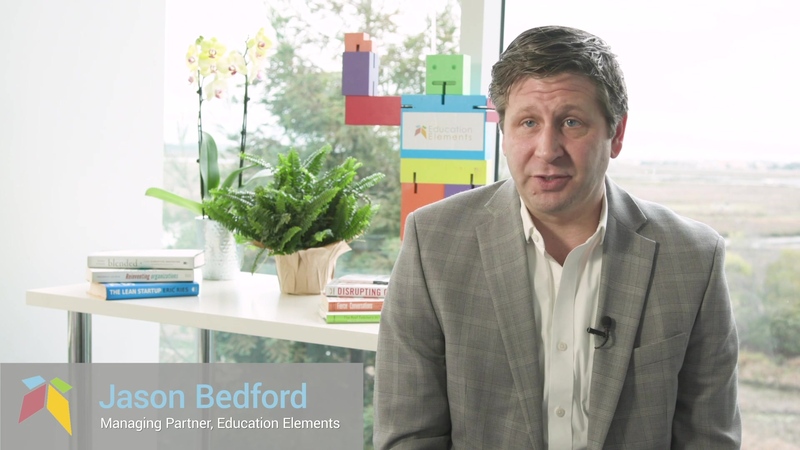 Ed Elements examines the impact of personalized learning, CBE and dynamic organizational design on districts across the country with promising results. This white paper describes 25 essential areas to effectively launch, support, sustain, & grow personalized learning. At Education Elements we are incredibly fortunate to work with so many exceptional, passionate, and extraordinarily talented people, including teachers, coaches, principals, and district leaders.